I recently had a brain wave thinking about foodie offerings for Halloween and realised that pears were the perfect shape to use as ghosts. 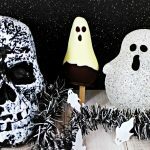 So yesterday being the first day of half term my daughter and I set about creating Chocolate Pear Ghosts which are kinder to your teeth than traditional toffee! We had great fun working out the logistics of how we were going to achieve the correct look and were undecided about whether or not our ghosts should have mouths so we ended up with 2 versions! 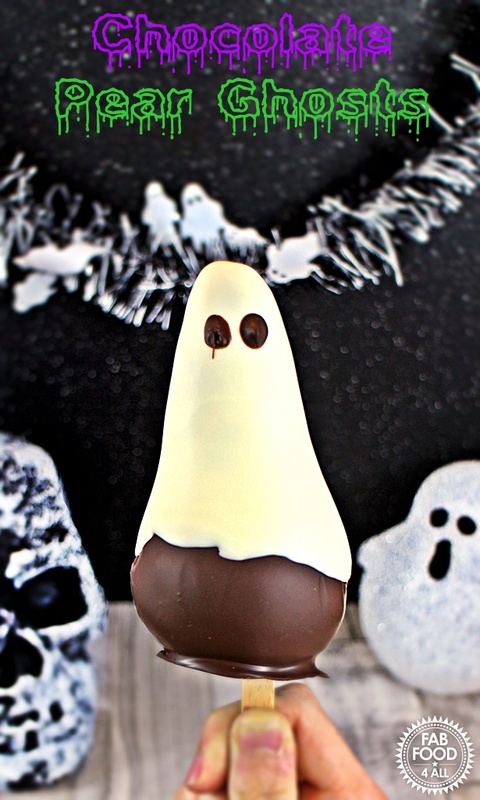 We used dark chocolate for the base in order to give the ghosts definition plus dark and pears are a perfect flavour combination. 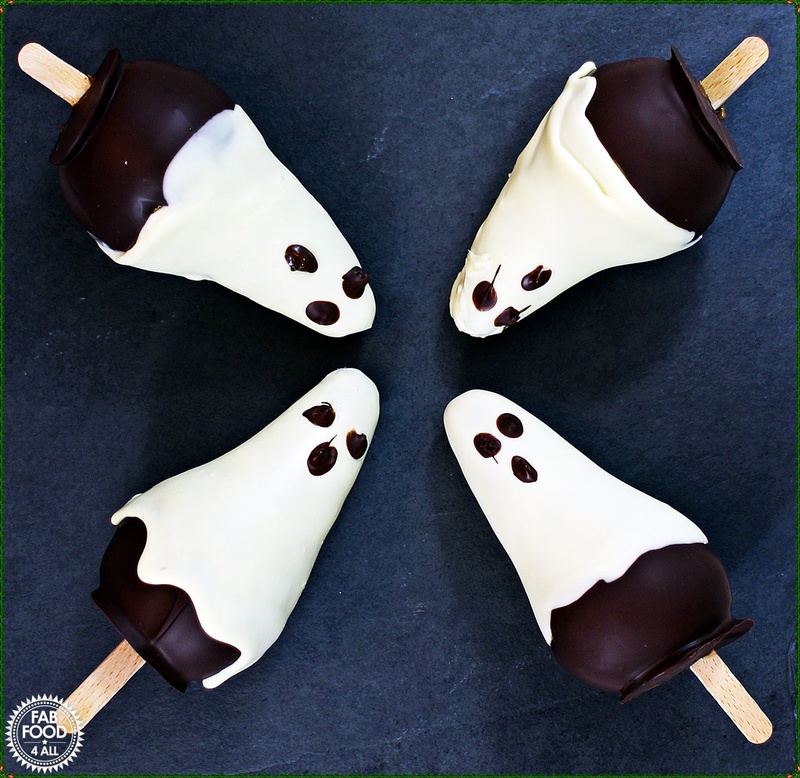 Chocolate Ghost Pears - coated in dark and white chocolate for a spooky treat your kids will love to make and eat! Break up the white and dark chocolate and place into 2 separate heat proof bowls. Place the dark chocolate bowl over a pan of barely simmering water (turning off the heat after a minute) and stir with a spoon until melted. Place a sheet of baking paper on a board. Dip the base of each pear into the dark chocolate to give an even coat. Lift out and place on the baking paper (holding in place until it will stand upright, team work is good)! 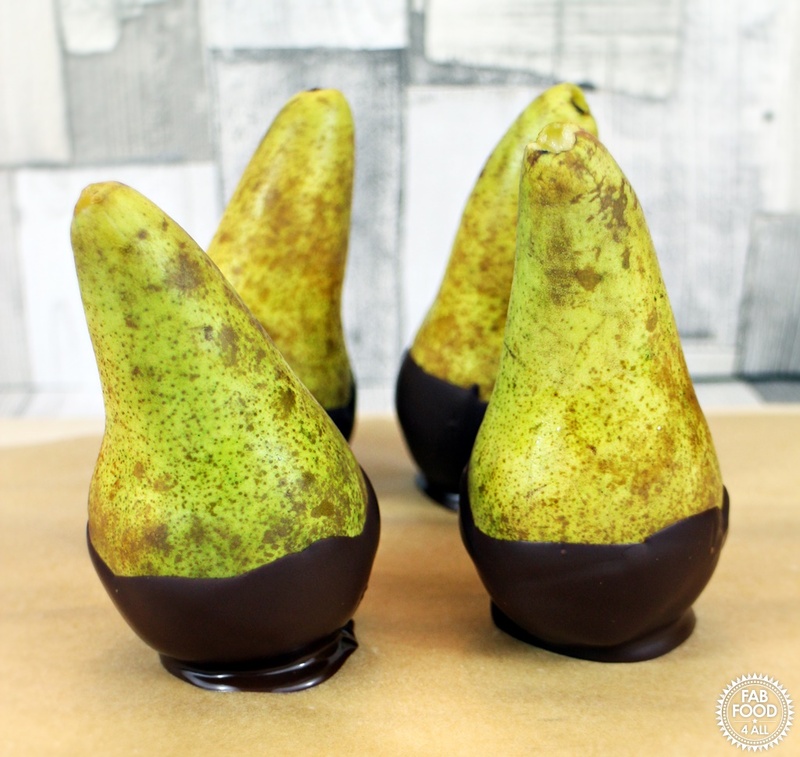 Place the pears in the fridge for a few minutes until the chocolate has set. Meanwhile melt the white chocolate over more hot water as before (careful not to overheat or texture will go grainy). Once the dark chocolate has set remove the pears from fridge and insert a lolly stick into the base of each. Then coat the top two thirds of the pear with the while chocolate by spooning over and turning (a wavy line at the base is the aim). Lay the pears down on the baking paper and place back in the fridge to set. Put the remaining dark chocolate back on the heat. Once the white chocolate has set use the tip of a teaspoon handle to dab on 2 eyes (and a mouth if you like) and place back in the fridge until set. 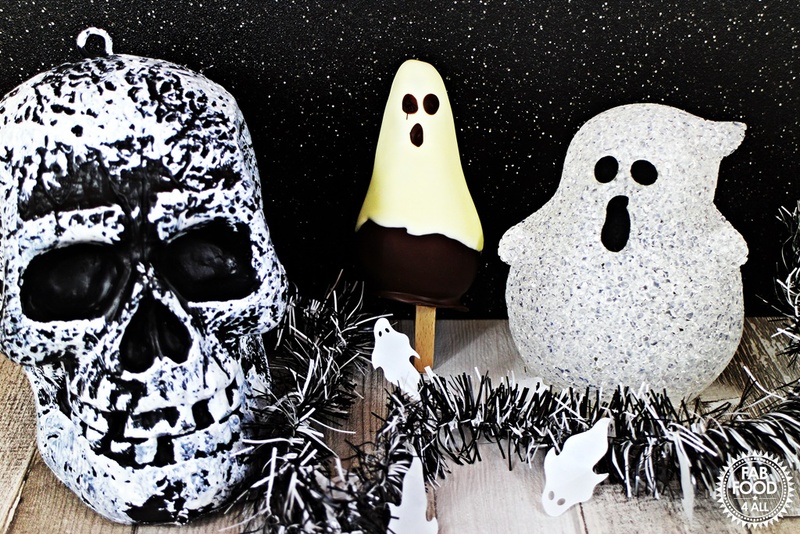 Serve at your Halloween party or wrap in cellophane as a Halloween gift! 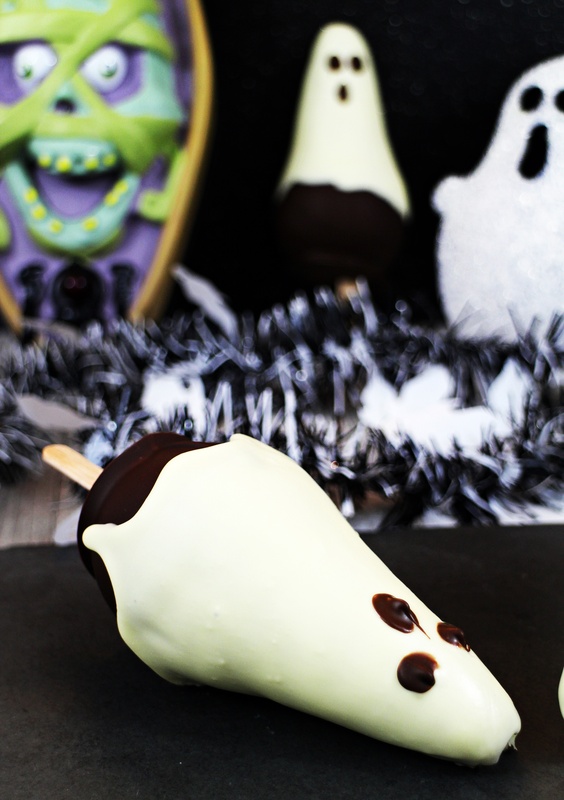 Those are adorable, I love how the shape of the pear works so well as a ghost! Cute idea!